The world of professional wrestling was at its peak in the 1980's, business has never been any bigger prior. In this era, the popularity of professional wrestling surged through the United States and elsewhere throughout the decade. The expansion of cable television and pay-per-view, helped drive the wrestling industry into the golden era. Not only did television play its part, but so did the promoters, one man in particular... Vince McMahon. The 1980's saw professional wrestling make a huge shift from a system controlled by numerous regional companies to one, dominated by one promotion, The World Wrestling Federation. 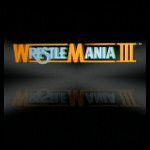 The future of WWF and the entire professional wrestling industry came down to the success or failure of WrestleMania I. In large part, the golden era was born off of this one event. After WrestleMania was a major success, professional wrestling began to hit mainstream. 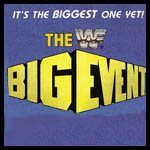 Large television networks began to take wrestling shows into their weekly programming, including Saturday Night's Main Event, premiering on NBC in May of 1985. WrestleMania's popularity and rating appeal made professional wrestling a main stay. Wrestling's popularity increased throughout, in large part, thanks to Hulkamania among the children. Not only did WWF's WrestleMania prove to be a financial success, but also Jim Crockett Promotion's biggest event of the year, Starcade, proved that wrestling could be a financial success. In November 1983, Ric Flair defeated Harley Race for the NWA World Heavyweight Championship at the event. The win marked the rise of Ric Flair's golden era and was credited for showing that Starcade could be a big financial success across many locations. Genadi and The Mod Squad: You guys have done an amazing job on this mod! After test playing it throughout several months, I have to say, this mod is excellent just like the rest of them that you do. Words cannot express how thankful I am for the work you guys do in bringing us these historical mods. I appreciate it a lot! The Final Countdown: Your dynasties are absolutely amazing man, without a doubt. I remember reading your TGAAB dynasty awhile back and was blown away on just how awesome it was. Not to mention, your WCW 2001 dynasty is just as great! Because of you, I really was fired up on creating my very own dynasty, using your TGAAB dynasty as a lot of influence to kick start it off. Thanks a lot man! Last edited by 123Kidd : 07-21-2018 at 11:15 PM. The show kicks off with a backstage promo involving the WWF World Heavyweight Champion, Hulk Hogan. Hogan says that despite his highly anticipated WrestleMania match against Andre The Giant, he's fully focused on tonight's main event against Nikolai Volkoff. Hulk Hogan: "In three weeks' time, I go to battle with a giant, in what could be the biggest challenge of my life, brother! Despite that, tonight I'm fully focused to face you head on. It's just you and me tonight, brother! So, I only got one question... Whatcha gonna do when Hulkamania runs wild on you?" We kick off the first match of the night, with tag team action as The Rougeau Brothers look to pull an upset over the reigning WWF World Tag Team Champions. McMahon mentioned that if The Rougeau Brothers could pull off the upset, they could perhaps face The Hart Foundation for the tag titles at WrestleMania. Serving as more motivation, The Rougeau Brothers stepped up their games in this one. They looked good throughout but fell short late in the match. Bret Hart locked the Sharpshooter on Raymond Rougeau, eventually giving the champions the submission victory. Finish: Sharpshooter by Bret Hart on Raymond Rougeau leads to submission. After the match ended, The Rougeau Brothers headed to the back while the WWF World Tag Team Champions remained in the ring. Bret Hart and Jim Neidhart would than cut a promo on the tag team division, demanding that they "step up". Bret Hart: "The tag team division here in the World Wrestling Federation is nothing but weak. You can ensure that if you line up the competition, we'll knock em' down. So, my message to the tag teams backstage is quite simple... Step up. Because if you don't, you'll never take these tag team titles off of us." Bret Hart drops the microphone in the middle of the ring, as he and Jim Neidhart head to the back. 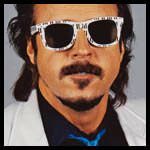 We head to the backstage, where Jimmy Hart and The Honky Tonk Man gloat over Honky's vicious assault of Jake Roberts on Superstars of Wrestling back in February. 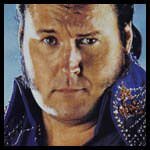 The Honky Tonk Man claims that he has no regrets of the guitar strike to Roberts and promises that come WrestleMania, he'll have no problem doing it again. Honky Tonk Man: "Ya know, every day I'm asked if I regret what I did to Jake Roberts in his own "Snake Pit" and every day I tell them, yeah, I do... I regret that I didn't hit that slimy little snake harder, cause now I got a match against him at WrestleMania III. That's okay though, because I got even more in store for him. In Detroit Rock City, everyone is going to witness my greatest hit ever!" With his match against Harley Race only a few weeks away, Junkyard Dog had to remain calm and focus, as he had the Canadian strongman, Dino Bravo to face tonight. Bravo took it to Junkyard Dog, with some strong offensive moves. Though, Junkyard Dog came back with some strong offensive moves of his own. Determined to keep his momentum going, Junkyard Dog fought back with some dog headbutts, that led to him delivering the Thump. The finishing move earned Junkyard Dog a big pop from the crowd as he went for the pinfall victory. Finish: Junkyard Dog delivers Thump! To earn the pin. 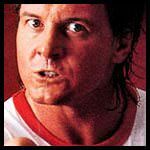 A video is played showcasing the rivalry that has been brewing between Adrian Adonis and "Rowdy" Roddy Piper. The ending of the video displays that Piper will be on Superstars of Wrestling next week to address the upcoming Hair Vs. Hair match at WrestleMania III. We're backstage with WWF Intercontinental Champion, Randy Savage and the lovely, Miss Elizabeth. Savage wasted no time in promising that come WrestleMania, he'll defeat Ricky "The Dragon" Steamboat and retain his prestigious championship. Afterwards, he expressed his disappointment in the count out win over George Steele on the final Saturday Night's Main Event. Savage would make sure to address that he'll get the rightful win over "The Animal" next week. 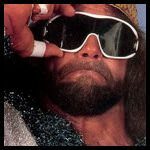 Randy Savage: "Next week, the Macho Man and The Animal clash once again, only this time, that match won't end in a count out. Oh no, that match is going to end when the Macho Man drops the elbow and gets a one-two-three! And Steamboat, I hope you're watching because at WrestleMania III, the same is going to go for you! OOOOOHHHHHHH YEAAAAHH! The Hulkster knew he was going to have his hands full tonight, as he took on the Russian brute, Nikolai Volkoff, who's a former WWF tag team champion. From the opening bell, Nikolai went all out on Hogan, delivering vicious strikes and showing his aggressive side. Perhaps, Volkoff was too aggressive, as he rarely attempted any pins when he had the opportunity. Volkoff delivered a ton of punishment to Hogan, ensuring that Hogan didn't make it to WrestleMania. At times, Hogan would attempt to make a comeback but Slick would stop his comebacks, by getting involved when the referee was distracted by Nikolai. The fans began to cheer Hogan on, hoping for a major comeback. Hogan did just that, as he began to "Hulk Up" once Volkoff delivered a couple of strikes to Hogan's face. Hogan blocked the third strike and began to unload a series of strikes of his own. Hogan then knocked Nikolai down hard with a big boot to the face and delivered the big leg drop to earn the win. Finish: Leg Drop by Hogan leads to the pin. The crowd went crazy for Hogan, as he celebrated inside the ring. Volkoff laid fallen outside the ring, as Slick began looking up towards the ramp expecting somebody. The Iron Sheik showed up, ran down to the ring and ambushed Hulk Hogan from behind. It didn't take long for Volkoff to get back on his feet and join in on the assault. Though, both men couldn't keep the Hulkster down, as Hogan began to overcome the odds. He fought both men off, sent them over the top ropes with a double clothline and stood tall inside the ring. As Hogan celebrated once again, Slick and his men retreated up the ramp. 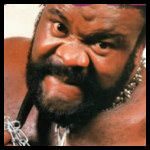 • Junkyard Dog was clearly wasted on drugs during his match against Dino Bravo. It's being reported that Vince McMahon gave Junkyard Dog a slap on the wrist. Word backstage has it that it only worsened his behavior. • Rick Rude forms a band and could be headed for a future music career. • Masa Saito won the vacant IWGP Heavyweight title by defeating Akira Maeda during Monday's NJPW Tour. The match received an A star from The Wrestling Observer. • Roddy Piper is undecided on whether he will retire after WrestleMania III. Many feel he'll stick around but only time will tell. • Fans seemed to have noticed that Jimmy Snuka has looked a little heavier than normal recently. Some close to Snuka have said that he hasn't been keeping himself in fighting shape and that he may be suffering from a lack of motivation. The 43 year old has yet to comment. 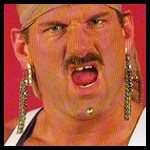 • The WWF has reportedly released Barry Orton, due to the negative influence he has been having on the backstage locker room. His contract was rumored to end in 22 days but WWF decided to pull the plug early on Sunday, March 8th 1987. Last edited by 123Kidd : 06-17-2018 at 11:14 AM. This one looks amazing and very easy to read. I'm excited to see your take on the era. Best of luck. This seems like an enjoyable read, I liked the first show. Good luck at keeping this going, I'll be reading! The show kicks-off with "Rowdy" Roddy Piper entering the Icardo Center. Gene Okerlund soon appears, attempting to get the answer that has been on everybody's mind, is Roddy Piper staying with wrestling or going to Hollywood? Piper declined to comment and told Okerlund that he'll have to wait until tonight's "Piper's Pit" just like everyone else. The British Bulldogs returned to action here tonight, after Dynamite Kid sustained a neck injury awhile back. Their first match back was not an easy one though. Brutus Beefcake & Greg Valentine ensured The British Bulldogs that they were not going to receive a warm welcome. They delivered a good beating to them in the early going, but The British Bulldogs got back into the mix. Davey Boy Smith carried the match in the end with a ton of offense and delivered a running powerslam on Beefcake to earn the pinfall victory. Finish: Running Powerslam by Smith on Brutus Beefcake leads to pin. 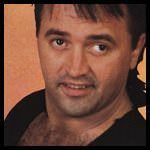 Tensions began to show between The Dream Team as Brutus Beefcake and Greg Valentine started arguing in each other's face. Johnny V eventually got in between them both and ended the dispute quickly before it got out of hands. Bobby Heenan shows up with fellow Hennan Family members, King Kong Bundy and Hercules. Bundy and Hercules assault Billy Jack Haynes while Gene Okerlund quickly retreats. After dealing a fairly good amount of damage, Hercules applies the Full Nelson on Haynes. Heenan tells him to release the hold, as he hypes up the Full Nelson Challenge match between Haynes and Hercules. Bobby Heenan: "Confident with your chances huh Haynes? Don't make me laugh! You're just as pathetic as Hulk Hogan, who believes he's going to defeat Andre The Giant at WrestleMania III. What a fantasy! Haynes, let me remind you that you are going against Hercules in a Full Nelson Challenge match. There is only ONE true master of the Full Nelson and that's the almighty Hercules! Once Hercules puts you into that hold at WrestleMania, there will be NO ESCAPE!" Bobby Heenan than leaves the scene with Bundy and Hercules, as they head to the ring. Tito Santana was up for a big challenge here tonight, when he went one on one against King Kong Bundy. This was a one-sided match that really favored in Bundy's favor but Santana wouldn't back down from anyone. Santana attempted to fight Bundy but was brought down quickly. Bundy demolished Tito and ended him rather quickly with a Big Splash. Finish: Bundy delivers a Big Splash that leads to the pin. We get to one of the most highly anticipated moments of the night, as Hot Rod addresses the latest buzz in his infamous pit. He talked briefly about his movie career and how he enjoyed it. Piper brought up his potential retirement after WrestleMania but did not directly answer the rumor. However, Piper did have a lot to say about his upcoming Hair Vs. Hair match against Adrian Adonis at WrestleMania III. Roddy Piper: "The latest buzz surrounding me is whether I'll retire after WrestleMania. All I can say is that I'll cross that bridge when I get to it. One thing for certain though, is that I won't be walking out of WrestleMania bald! I can guarantee you that, folks. I'm not so sure about you though Adrianna. Actually, I'm not so sure whether the bald look will make you look uglier or be an improvement. We'll find out though, because in Detroit, Michigan, I'm going to be giving out my very first hair cut in front of thousands of people. To sum it up for you, it's going to be the most historic haircut you'll ever get!" Randy Savage was far more aggressive in this match than he was in his previous match against George Steele at the final Saturday Night's Main Event. 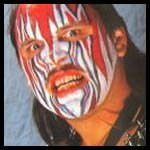 Steele attempted several times to fight back, but Savage was not having it as he had clear intentions of sending a message to Ricky Steamboat. While Steele was dazed and stunned, Savage looked to finish him off with a Flying Axe Handle, which then followed up by a Flying Elbow Drop to earn the pinfall victory. Finish: Flying Elbow Drop by Savage leads to the pin. 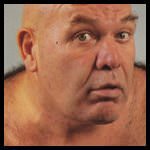 Instead of gloating about his victory and celebrating like he usually does, Savage decided to continue his attack on George Steele. The referee tried to stop Savage, but Savage shoved the referee down to the mat hard. Ricky Steamboat came charging to the ring and delivered a couple of strikes to Savage, until he was able to quickly escape the ring and retreat up the ramp with Miss Elizabeth. Steamboat hurried to Steele's aid, while he continued looking on at Savage, who kept his eyes on Steamboat, as he stood at the top of the ramp. The WWF World Heavyweight Champion, Hulk Hogan was backstage hyping up his match against Andre The Giant at WrestleMania. Hogan then talked briefly about the attempted attack Nikolai Volkoff and The Iron Sheik tried on him last week. Hogan issued them both a challenge to come face him next week in a handicap-match. Hogan began to talk briefly about how he defeated The Iron Sheik three years ago to become the world champion. While Hogan began talking about his historic three year run with the championship, a few unexpected visitors came to visit the world champion. Before Hogan could make a move, all four members of The Heenan Family began to attack him. Hogan was able to fight off Hercules and Ordnorff for a brief second, but the numbers game played its toll. All four men began stomping Hogan down, while Heenan watched on with a satisfied smile. Bobby Heenan: "Hulk Hogan isn't all so mighty now huh? You can forget about that handicap match you issued to The Iron Sheik and Nikolai Volkoff, because next week you got an even bigger threat. 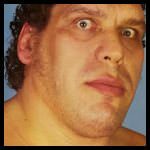 That's right, next week Andre The Giant is going to be here to squash you like the insect that you are! Beware, because once Andre The Giant gets his hands on you, you may not be making it to WrestleMania to defend that championship! So, enjoy it while you can Hogan!" • Brutus Beefcake has reportedly changed his wrestling style. He is now classified as a brawler. • "The Natural" Butch Reed was seen backstage this week, displaying a more ripped body shape. Many have said that he looks great and that he'll benefit in star quality because of the new shape. Some are going as far to say that Reed could be in for a bright future, as management is impressed with the new look. • Jim Crockett Promotion's, Road Warrior Animal, took some shots at Wendi Richter, during a radio show Saturday, March 14th. During the interview, Animal expressed his displeasure with Richter signing with JCP and doesn't see her as a great addition to the women's division. Which could signal a sign of backstage heat among the JCP's locker room. • Steve Blackman has been released by Stampede Wrestling Calgary. As of the moment, no company has offered Blackman a contract. Thank you! I appreciate the feedback and glad to hear you'll be following! Glad you enjoyed it! Thanks for the feedback and interest! Last edited by 123Kidd : 06-17-2018 at 11:21 AM. The show kicks off with Slick informing both The Iron Sheik and Nikolai Volkoff that the goal tonight is to ensure Hogan doesn't make it to WrestleMania. Both Sheik and Volkoff shrug off Slick's comments. Bobby Heenan shows up with a whole lot of confidence going into tonight. He looks at Slick with a slight smirk. Bobby Heenan: "If your boys can't seem to get the job done tonight, then I have the perfect force of destruction that will!" Andre The Giant standing tall over the rest of the guys. A big smile appears on Bobby Heenan's face. He tells Slick that he'll be watching tonight, as he and Andre leave the scene. The challenge was issued on last week's Wrestling Challenge by The Hart Foundation, in which The Hart Foundation wanted The British Bulldogs to prove they're as good as they say they are. 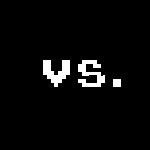 Which brings us to this non-title match between both teams. Bret Hart and Jim Neidhart looked really good in this one and looked to have had this match in the bag. However, The British Bulldogs were determined to make a statement on the tag team champions. The British Bulldogs made a big late comeback, which came to a conclusion when Davey Boy Smith delivered a Running Powerslam on Jim Neidhart to earn the pin. 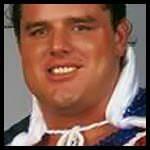 Finish: Running Powerslam By Davey Boy Smith On Jim Neidhart leads to Pin. The British Bulldogs begin to head up the ramp, as The Hart Foundation looks on in disbelief. 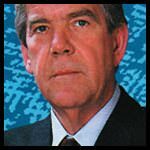 Suddenly, the WWF President, Jack Tunney comes out and announces at the top of the ramp, that at WrestleMania, The British Bulldogs will go on to face The Hart Foundation for the WWF World Tag Team Championships. Bret and Jim seem irate with the announcement, while the Dynamite Kid and Davey Boy Smith look excited and ready to reclaim the titles they lost in January. A pre-recorded video is played of a view inside a very wealthy mansion, filled with expensive furniture and decorations. The camera then takes the viewers to the outside of the mansion, where a massive pool is shown with several maids shown walking around. Suddenly, a man dressed in a Hawaiin shirt approaches the camera with a glass of champagne in his hand. He introduces himself to the viewers as the "Million Dollar Man", Ted DiBiase. He then brags about his luxurious lifestyle and claims that unlike so many of you (the viewers), he never had to work a day in his life. Despite this, he will be arriving in the WWF soon. Ted DiBiase: "Unlike many of you, who would rather stay here and not achieve any more than what you already have, I'm the type of men who stays ambitious. I could choose to live life and not have to worry about working a day in my life but I choose not to. Soon enough, I'll be making my arrival in the World Wrestling Federation... My purpose is quite simple, to show all of you that your hard work and sacrifice doesn't mean anything if you're not living this lifestyle. In short time, you'll come to realize that it's all about the money and that it all revolves around me. Once I make my arrival, you will all learn that everybody has a price for the Million Dollar Man. HAHAHAHAHA!" Gene Okerlund interviews the WWF World Champion, Hulk Hogan on what his game plan is tonight against The Iron Sheik and Nikolai Volkoff in a handicap-match. He then questions Hogan on whether that was wise of him due to the injured ribs and with Andre The Giant roaming the backstage locker room. Hulk Hogan: "Let me tell ya somethin' Mean Gene, there's a reason why I've been the world champion for three years and it's in large part due to my Hulkamaniacs, brother! All throughout, they have been by my side since day one and I'm not about to let them all down. Tonight, broken ribs or not, I'm going to go out there and bring both The Iron Sheik and Nikolai Volkoff down. Now, it doesn't matter whether Andre The Giant comes out or not, because I'm not going to back down! As long as I got the support of my Hulkamaniacs, I can't be brought down, brother!" Billy Jack Hayne's upcoming opponent at WrestleMania, Hercules began walking down the ramp with his big chain. Race noticed, therefore distracted the referee while Hercules hurried and threw a quick right punch to the face, with the chain wrapped around his knuckles. Afterwards, Hercules played it off as if nothing happened. Race quickly went for the pin, the referee counted to three and declared Race the winner. Finish: Hercules attacks with steel chain, leading Race to earn the pin. The Junkyard Dog hurried into the ramp and began tossing a fury of punches to both Harley Race and Hercules. 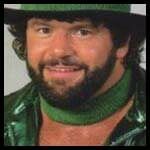 Billy Jack Haynes was eventually back up on his feet, to help Junkyard Dog fight both men off. Afterwards, they celebrated inside the ring. Jake "The Snake" Roberts returned back to the Snake's Pit, making his televised return for the first time since The Honky Tonk Man blasted him in the head with a guitar. Roberts admits that he underestimated him and didn't expect the attack given to him, because he never took him seriously. Roberts goes on about how that hit changed him a lot and that he'll know first-hand at WrestleMania. Jake Roberts: "You thought you got rid of me and indeed you did, but now I'm back again, only this time It's far worse than what you expect. You talk about how you regret that you didn't hit me harder, well you're really going to regret soon enough Mr. Honky Tonk Man. Because what you did, brought out a more vicious, nasty and evil side of me you have never seen before. Detroit, Michigan better be ready, because they're going to see that your so called "Biggest Hit Ever" is going to become your biggest flop of all time." Ricky Steamboat had a bigger opponent to worry about tonight, than Muraco's tag partner, Bob Orton last week on Wrestling Challenge. The fans gave Muraco a good pop, considering his connection with Florida. Steamboat didn't hold back, going at the former 2-time intercontinental with a lot of offense. Muraco was able to deliver some offense of his own but Steamboat would own the match. Steamboat finished the match off with a Flying Karate Chop, leading to the pinfall victory. Finish: Flying Karate Chop leads to the pin. Ricky Steamboat celebrates in the ring but the celebration does not last long, when the WWF Intercontinental Champion, Randy Savage comes out. Steamboat gets himself prepared for a fight, but Savage stays at ringside and cuts a promo. Randy Savage: "I would congratulate you on your win but Magnificent Muraco, isn't as magnificent as the Macho Man, Randy Savage! Don't get your hopes up on thinking that this win is how it's going to be at WrestleMania. Cause at WrestleMania, the whole world will see just how magnificent the Macho Man is, once he slays the dragon! OHHHHHHH YEEAAAAH!" The Hulkster was against all odds in this one tonight, as he faced off against The Iron Sheik and Nikolai Volkoff, while fighting with broken ribs. Sheik and Volkoff took advantage of this and it really brought Hogan down fast. Sheik and Volkoff made frequent tags, while continually attacking Hogan's injured ribs. The crowd here in Tampa, Florida was getting louder and louder, trying to urge Hogan to comeback in the match. The chants worked in the favor of Hogan, as he began to pump up, he delivered several punches to The Sheik's face. Volkoff attempted to get involved, but he was brought down quick with a big boot. Hogan than continued where he left off and finished Sheik off with the big Leg Drop. Hogan went for the pin and the referee declared Hogan victorious. Finish: Leg Drop on The Iron Sheik leads to the pin. Hulk Hogan began to celebrate inside the ring, showing clear signs that he was fighting the pain from his injured ribs. Slick was watching at ringside looking at unease, while his clients had enough and began to walk up the ramp. While they made their way up the ramp, Bobby Heenan and Andre The Giant began to make their way down to the ring. Heenan stayed at ringside, while Andre The Giant got into the ring and went face to face with Hogan. Heenan began to urge Andre to attack Hogan and he responded by throwing the first strike to Hogan. Hogan did his best to fight back, but the injured ribs really began to take effect. Andre took advantage of that and demolished Hogan inside the ring, as the crowd booed. Heenan cheered Andre on and complimented him on his performance. Bobby Heenan: "HAHAHA, I told you Hogan, I told you Andre The Giant would squash you like the insect you are! Ladies and gentleman, you are looking at your next WWF World Heavyweight Champion... ANDRE THE GIANT! Hogan, not only will your reign come to an end at WrestleMania, but so will your career! HAHAHAHA!" • Jim Crockett Promotions seen good value in Rick Rude as they have signed him to a 3-year written deal. The deal was finalized Friday morning on March 20th. I'll have the final patch of shows up sometime today, plus the full WrestleMania prediction card. Thank you to everyone reading and supporting! Last edited by 123Kidd : 06-17-2018 at 11:24 AM. The WWF World Champion, Hulk Hogan, is backstage in which he talks about the punishment he suffered from the hands of Andre The Giant. He goes on to say that tonight, he wants one final stare down with the giant before their battle come this Sunday at WrestleMania. Hulk Hogan: "WrestleMania III is going to be the biggest show of all time, brother. This Sunday, I face my biggest challenge of my entire life when I take on a giant who has been undefeated for 15 years! A streak that goes well beyond my run as world champion and a streak that will never be topped. Come WrestleMania, I plan to be the man that breaks the streak and create a moment for myself and for all my Hulkamaniacs that will last forever. But that's Sunday, tonight I want Andre The Giant to meet me inside the middle of the ring, face to face. The doctors informed me to take the night off to heal my wounds, but I couldn't wait long enough for Sunday, not after what happened last week. I'll be ready, brother!" With both men being involved in the 15-men battle royal at WrestleMania, they were both determined to walk into the event with some momentum. Butch Reed started the match off really strong, establishing himself as a force to be reckon with. Koko B. Ware had a slow start but began to pick up the pace mid-way through the match. Though, it wasn't enough to stop Reed, who delivered a big Shoulder Tackle and then finished the match with a pin, after delivering a vicious Gorilla Press Slam. Finish: Gorilla Press Slam leads to pin. Slick's absence from Butch Reed's side was because he was backstage giving both The Iron Sheik and Nikolai Volkoff a lecture about winning and losing. Slick demanded that his clients represent him in a good way, by getting the job done and still prevailing with the win. Sheik and Nikolai wasn't too pleased with Slick's demands and suddenly, two Russian big men known as Ivan and Nikita Koloff in Jim Crockett Promotions approached Slick. 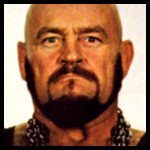 Ivan Koloff: "Your so called "clients" no longer work for you anymore. So, I suggest you leave now if you know what's good for you." Slick was clearly intimidated by the two big men and quickly left the scene. They then approached The Iron Sheik and Nikolai Volkoff, with Ivan Koloff extending his hand to both men. Nikolai accepts the handshake, The Iron Sheik shows a slight smirk before eventually accepting his hand too. After the lost Jim Neidhart took from Davey Boy Smith, last week, Bret Hart was more than determined to have The Hart Foundation walking into WrestleMania with some momentum. 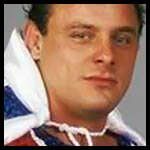 Dynamite Kid showed a lot of courage and bravery, as he gave Bret a run for his money. Both men battled it out, with neither of them getting the advantage. 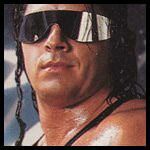 Eventually, a distraction from Jim Neidhart, helped Bret execute a Bulldog and earn the pin afterwards. Finish: Bulldog by Bret Hart on Dynamite Kid leads to pin. After the referee had called for the bell, Davey Boy Smith went straight after Jim Neidhart and the two began to brawl outside the ring. Dynamite Kid wasn't too pleased, as he attacked Bret Hart. The men fought all the way up to the ramp, which eventually ended the brawl on-screen. Gene Okerlund is backstage, where he interviews Bobby "The Brain Heenan" on whether or not Andre The Giant is here in the building and if he is, will he accept Hogan's face to face confrontation later tonight. 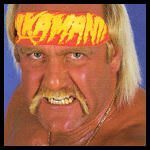 Bobby Heenan: "Hulk Hogan must have not learned his lesson from last week, if he's out here wanting a one on one confrontation. I'm beginning to think that Hogan has lost his mind, as everyone including myself, knows that Andre The Giant will just humiliate Hogan again. To answer your question, Andre The Giant is in fact here tonight. Now will he accept the stare down? I think last week answers that question." King Kong Bundy and Paul Ordnorff, members of The Heenan Family came onto the scene. Bobby Heenan was ecstatic to see them, as they attacked Junkyard Dog at ringside. 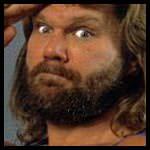 The referee noticed the attack and declared Junkyard Dog and Billy Jack Haynes the winner due to disqualification. The announcement didn't stop The Heenan Family though, as they then set their sights on Billy Jack Haynes and dismantled him inside the ring. The final moments witnessed The Heenan Family raising their arms, as if they were the ones who came out of this victorious. Miss Elizabeth is standing beside the WWF Intercontinental Champion, Randy Savage, who cuts a promo hyping up his match against Ricky Steamboat this Sunday at WrestleMania III. Savage notes that WrestleMania is almost here and he's more excited than ever to beat Steamboat in front of thousands of fans in attendance. Randy Savage: "The clock is ticking, but who is counting? Nobody, why is that? Because, everyone here and watching at home knows that the "Macho Man" Randy Savage will go on to slay Ricky "The Dragon" Steamboat. Yeah! I'm carrying this title to new heights, come WrestleMania III, I'll seize the spotlight! OOOHHHHHH YEEAAAHHH!" Jake Roberts Vs. Bob Orton Jr. This is Jake Roberts' first match back since February, in which Roberts looked to use this match as a warm up bout. "Cowboy" Bob Orton though wasn't going to make things easy for Roberts though in his first match back. Orton delivered some hard-hitting blows and executed well on some submission holds. Roberts eventually found his groove and fought his way back into the match, Orton tried his best to fight back but he was soon hit with an DDT. Roberts then went for the pin and was declared the winner. Finish: DDT leads to the pin. Jake Roberts began to celebrate his victory, as the fans cheered him on. The celebration was short lived once The Honky Tonk Man came down the ramp with his guitar. Roberts had his back turned and didn't notice the Honky Tonk Men was on his way to the ring. HTM entered the ring, as soon as Roberts turned around, HTM attempted to strike with his guitar but Roberts dodged the bullet this time. Roberts quickly retaliated by delivering a DDT. He then continued his celebration, while HTM rolled out of the ring in defeat. The WWF World Champion, Hulk Hogan came out to the ring looking pumped up and ready for a fight. Hogan began to talk about the days Andre and he were good friends until Bobby Heenan got involved and had Andre turn his back against him. Hulk Hogan: "Never in a million years, would I ever think I would have to face a man I once considered my best friend, at WrestleMania for the world championship. Andre had the 15-year streak and I had the world championship, together we were on top of the world, brother! Then that all took a change for the worse, the moment Bobby "The Weasel" Heenan got involved. Since day one, that weasel has been trying to pull all the stops to ensure that The Hulkster isn't world champion. Time after time, I prevailed thanks to all you Hulkamaniacs. Without you, there wouldn't be no Hulkamania, brother!" Suddenly, Bobby Heenan begins to speak, as he and Andre The Giant are shown walking down the ramp and to the ring. Bobby Heenan: "Please, oh please just stop it Hogan. You continue to deny the unavoidable fact that this Sunday, Andre The Giant will squash you and finally bring the WWF World Championship to The Heenan Family. It’s a fact that you can't run away from Hulk, no matter how many "Hulkamaniacs" you got by your side. Your time is up, just look at yourself, you aren't even supposed to be out here with them broken ribs of yours. Your already at a disadvantage, that's not even mentioning the size comparison. Do you honestly believe your unstoppable, unbeatable, in the shape that you're in?" Hulk Hogan: "We can find out right now what shape I'm in, brother! Andre, get inside this ring and face me, face to face!" 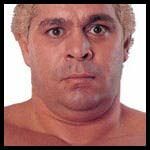 Heenan insists Andre gets inside the ring, which he does. Andre looks down on Hogan, who attempts to make Andre realize that Heenan has him poisoned. Heenan demands Andre to not listen to what he says and demands Andre to beat Hogan down. Andre puts his hand on Hogan, which Hogan pushes it off quickly. Hogan then pushes Andre hard, having him go back a few feet. Hogan then rips off his shirt, with the tape still wrapped around his ribs. Hogan and Andre began to trade words, that only them two could hear. Afterwards, they collided inside the ring. Hogan began throwing punches, which was clear that these punches were connecting with some heavy damage. Andre would not let the punches faze him though, as he delivers blow after blow towards Hogan's injured ribs. Heenan then demanded Andre to squeeze the life out of him, Andre picked Hogan up and wrapped him with his giant arms, applying a massive bear hug. Hogan struggled desperately trying to get out of the hold, but every squeeze made it more difficult for him. Andre finally let go, as he seemed satisfied with the damage he delivered. Hogan fell to the mat and was laid out cold. Heenan began praising Andre, as he laughed at the fallen champion. They left the ring, leaving behind the carnage they left behind. The WWF's medical rushed to the aid of the injured champion, who was showing the agony of the injury. The medical staff helped Hogan up on a stretcher, but Hogan refused and began to walk backstage with their assistance. The crowd expressed relief afterwards, while many Hulkamaniacs were worried that Sunday could possibly be Hogan's final night as world champion. • PWI voted Bruiser Brody as the top brawler in professional wrestling today. • Hulk Hogan believes that Koko B. Ware doesn't connect with the crowd and that he should probably be let go. • Harley Race doesn't think Billy Jack Haynes can sell worth a damn and that he needs to learn or be let go. • Honky Tonk Man thinks that the Dynamite Kid is clumsy and will eventually end up hurting somebody. 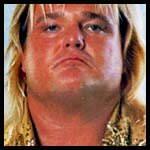 • Greg Valentine has reportedly suffered an injury during tonight's match against The Rougeau Brothers. Valentine seems to have suffered some knee ligament damage and it is expected that he'll be out for a month. This is disappointing news, as he was recently announced to take place in the 15-man battle royal at WrestleMania III. • Harley Race believes that Jacques Rougeau doesn't connect with the fans and that he believes the kid has little upside. Who Will Be The Last Man Eliminated In The Battle Royal? 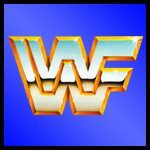 Wild Guess Question: What will the final grade be for WrestleMania III? The Match of the Night question is worth 3 Points, while the wild guess question is worth 6 points. All the matches are worth 2 points. I haven't yet decided on a prize but I'll be doing a 3-month contest (counting WrestleMania) which will fall into King of the Ring. By then, I should have a very good prize thought of. I'll post a 24-Hour warning for when I get ready to post WrestleMania! 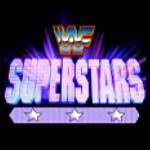 The announce team hypes up tonight's main event between WWF World Heavyweight Champion, Hulk Hogan and Dino Bravo. They talk about how Hogan will he need to watch his back tonight, as The Heenan Family could strike at any given moment. The young 21-year old Shawn Michaels looked to make his debut here in the WWF against The Honky Tonk Man. Michaels showed that he was very well capable of having the skill set to have a spot here in the WWF. 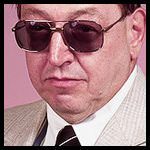 HTM would not let the rookie get one over him and with a distraction by Jimmy Hart, he guaranteed that there wouldn't be an upset. Michaels fell for Hart's distraction, which helped HTM deliver the Shake, Rattle and Roll. Finish: Shake, Rattle and Roll leads to HTM getting the pin. Bobby Heenan is backstage with the rest of The Heenan Family, with Paul Ordnorff being absent. 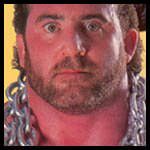 Heenan talks about how "The King" Harley Race will no longer have to face the Junkyard Dog due to JYD suffering an injury last week on Wrestling Challenge. 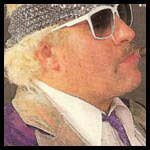 Heenan assures that Race will be getting a match on the card, regardless to prove he is in fact, the king. Heenan begins to hype up Hercules upcoming open challenge for the WWF World Television Championship. 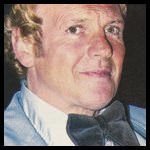 Bobby Heenan: "Harley Race, will get himself a match at The Big Event to further prove that he is in fact the true king of the WWF. Whoever he defeats, he'll prove that he's the next men in line for the WWF Intercontinental Championship. However, that is down the line, tonight we talk about the "Almighty" Hercules. Tonight, we're starting a WWF World Television Championship open challenge. Each and every week. Hercules will defend this title against anyone and prove to everyone watching why he was the best men to win the title. Success is in fact on the way for The Heenan Family, especially once King Kong Bundy takes the championship away from Hulk Hogan!" Paul Ordnorff. Ordnorff questions Heenan on where his success is at and that he's a bigger deal in the group than anyone else standing in front of him. The Heenan Family look ready to jump Ordnorff after his comments, but Heenan signals them to calm down. Heenan informs Ordnorff that his time will be coming, he just needs to remain calm and patient. Ordnorff says that he better be right, before leaving the scene. The announce team hypes up the fact that "Rowdy" Roddy Piper will be appearing on WWF Superstars of Wrestling next week to address the fans. McMahon says that all he knows as of this moment is that Piper will be addressing the recent attack by the hands of The Russian Alliance. The Rock 'N' Roll Express tag team consisting of Robert Gibson and Ricky Morton, made their debut here in the WWF tonight. Jesse Ventura mentioned how the tag team is destined for big things here, as they have had a lot of success outside the federation. The Wild Samoans wanted to crush their debut by delivering the tag team a loss, but that wouldn't be happening. Morton and Gibson showed what they were all about and finished Sika off with a double dropkick, for Gibson to earn the pin. 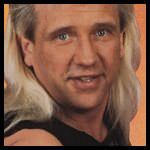 Finish: Double Dropkick by The Rock 'N Roll Express helps Ricky Morton get the pin over Sika. Backstage, Butch Reed talks about his big match against Rick Steamboat for the WWF Intercontinental Championship at The Big Event. Reed talks briefly about why he chose to attack Steamboat, claiming he needed people to realize that he's the big deal around here. 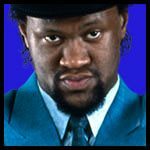 Butch Reed: "Everybody is gunning for that WWF Intercontinental Championship, yet everybody is talking about facing Ricky Steamboat. My attack on Steamboat was a clear indication that I'm not a man to be forgotten about. WrestleMania III, I won the 15-men battle royal in what was my PPV debut. I made a statement that night and I have zero intentions on stopping. Steamboat, your opponent at The Big Event is not Randy Savage nor Jake Roberts. Your opponent is "The Natural" Butch Reed and you better be ready, because I'm not taking it easy on you or anybody else! Billy Jack Haynes comes down the ramp and announces that he has accepted the challenge. Heenan laughs at Haynes and talks about how much of a joke this is. McMahon mentions on commentary, that Haynes deserves a shot after making it to the final elimination of last week's battle royal. Heenan then goes on to say that this match is not happening, until Hercules takes the microphone and claim he accepts the fight. Haynes has been on a decline rate of momentum as of late, but if any moment meant he could turn it around, this would be that moment. While Hercules, was determined to finish Haynes off easily and earn his first defense of his title reign. Haynes had the upper-hand to begin this match, unloading a series of strikes to Hercules and bringing the big men down. Haynes brought a tank full of offense with him, as he was relentless in his moves. The announce team acknowledged it by claiming Haynes was more focus on revenge than the title. Hercules eventually rebounded though, as he was outside of the ring, Heenan went and distracted the referee. Haynes followed Hercules outside, but it left Haynes getting hit hard in the head by Hercules' chain. The strike was vicious enough to cause some blood to pour out, as Hercules sent Haynes back into the ring. Hercules finished Haynes off with a Full Nelson and was declared the winner after there was no response by Haynes. Finish: Full Nelson earns Hercules the submission. The Hart Foundation were backstage, in which they discussed their final match against The British Bulldogs at The Big Event. They talk about how once they finish them up, they'll be looking to face a tag team that is ready to step up to the plate. 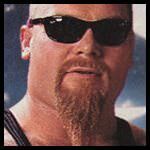 Jim Neidhart: "Jack Tunney wants to give The Bulldogs another chance against us, which still hasn't sat well with me considering that we defeated them on the biggest stage, WrestleMania. Whether Danny Davis got involved or not, the match was decided once the bell rang, that The Hart Foundation was leaving as tag team champions." Bret Hart: "Regardless, we got another match against them April 26th and to anyone who still believes that we aren't the best tag team today, we'll prove every one of you wrong at The Big Event." Jimmy Hart hypes up the big match between The British Bulldogs and The Hart Foundation one final time, before the cameras head back to the ring. Dino Bravo had the best moment to prove his claim that he's the strongest man in the world by defeating the WWF World Heavyweight Champion, Hulk Hogan. He held true to his world in the opening of the match, executing well on the offense and stopping Hogan from getting any momentum. The fans rallied Hogan on late in the match, which seemed to motivate Hogan to kick it back into gear. Bravo delivered a couple of strikes to Hogan's face, but Hogan would block the third strike. Hogan began to toss out a couple of punches himself, before tossing Bravo to the ropes and hitting him with a big boot. Hogan flexed his biceps for a brief second, before finishing the match with the big leg drop. Finish: Big Leg Drop earns Hogan the pin. Bobby Heenan begins to walk down to the ring alongside King Kong Bundy, who is scheduled to face Hogan at The Big Event. Heenan congratulates Hogan on his win but reminds him that his real challenge is having to pin his fellow client's shoulders down on the mat for a 3 count. Heenan informs Hogan that he is on borrowed time with the WWF World Heavyweight Championship and that come next week, Bundy will have it in his possession. Bobby Heenan: "Time is truly not on your side Hogan, not for you or any of your Hulkamaniacs. In fact, every minute that ticks' tocks away is another minute closer that King Kong Bundy is crowned the new world champion. Next week, Bundy will finally be the men to take that title away from you and prove that his WrestleMania loss to you a year ago was only because of the cage stipulation. Hogan, whether you like it or not, you're looking at your new champion... King Kong Bundy!!!" Hogan, being the fighting champion that he is, signals Bundy to bring it and that they can settle this right here, right now. At ringside, Heenan reminds Hogan that he doesn't know what he's getting himself into. Hogan continues to taunt Bundy, which leads to Heenan finally telling Bundy to get in there and remind Hogan what he's getting himself into. King Kong Bundy gets into the ring and has a one on one stare down with Hogan, as Heenan watches from ringside. Hogan showing no intimidation, throws the first strike, which prompts Bundy to retaliate with a few hooks of his own. Both men begin to fight it out in the ring, with neither men getting the advantage over one another. 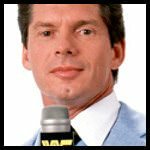 Vince McMahon then informs the viewers that that is all the time we have left for this week's Superstars but reminds fans to tune in next week to know of the fallout between Bundy and Hogan. • Tom Magee reportedly asked for a pay raise backstage, in which it seems as though it was rejected. Rumors has it that Magee, who makes $500 per appearance, requested a $360 pay raise and was denied. Some have mentioned that that is why Magee is furious as of the moment. There is no word from WWF on the situation or why they have denied the raise. • 69-year-old, St. Louis native, Freddie Blassie retired officially retired on April 17th and looks forward to life outside of the wrestling business. Blassie's accolades include being a one-time NWA Wildside Heavyweight Champion and a one-time NWA World Junior Heavyweight Champion in which he won back in March 1957. • Continental Championship Wrestling (CCW) looks to be cutting budget costs as they have announced several names released from the promotion such as, Keith Hart, Norvell Austin, Tommy Rogers, Ken Wayne, Scott Armstrong, The Headhunters and Doug Furnas. • Some industry veterans are saying that 22-year old Andre Baker is a man to watch out for, as they believe he's a future top star in the British Isles. Baker is not currently signed anywhere at the moment, but that could change after this headline. Last edited by 123Kidd : 03-02-2018 at 08:34 PM. To kick off the show in a big way, we open up to a pre-recorded video of the WWF World Heavyweight Champion, Hulk Hogan, where he is at a beach in Tampa Bay, Florida. Hogan says that he's been training like crazy here in Tampa as he gets ready to head to the Madison Square Garden this Sunday to face King Kong Bundy. 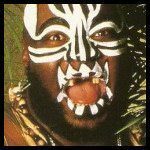 Hogan says that this will be a difficult match, having to pin King Kong down to the mat but that he'll beat the odds. Hogan adds that all his Hulkamaniacs will be by his side Sunday night and will witness The Hulkster rise up once again. Hogan ends his message with one final message about both King Kong Bundy and Bobby Heenan. Hulk Hogan: "Ya wanna know somethin' brother?! Bobby "The Weasel" Heenan is for once right in his life about one thing. That is that I have never pinned King Kong before, but I plan to change that this Sunday, brother! Once King Kong comes out and faces me eye to eye, he's going to realize that it's no longer going to be about size differences. Bobby "The Weasel" Heenan believed that at WrestleMania 3, I was bound to lose to that big nasty giant named Andre The Giant due to the size differences. Though, with the support of my Hulkamaniacs, I came back and bodyslammed that big nasty giant in front of 93 thousand screaming fans. New York City, get ready because Hulkamania is running wild right now! This Sunday, I'm going to prove to Bobby Heenan and to the world once again, why I'm the WWF World Heavyweight Champion, brother! I only got one question for you King Kong Bundy, whatcha' gonna do when Hulkamania runs wild on you?!" Koko B. Ware Vs. Bob Orton Jr. Both men have seemed lost in recent weeks, with neither men getting any wins or building any kind of momentum for themselves. However, this match gave them both a chance to get off on the right path but as with any match, there can only be one winner. Bob Orton looked more focus on winning than anything here tonight, when he took the offense to Koko. It quite easy to see that Orton was still upset with Koko B. Ware eliminating him from the 15-men battle royal a few weeks back on Superstars. However, a few missteps cost Orton badly, as Koko B. Ware rebounded and delivered the Bird Buster to pick up the pin. 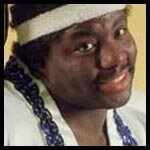 Finish: Bird Buster by Koko B. Ware leads to the pin. The announce team hypes up "Rowdy" Roddy Piper's appearance tonight. They talk briefly about how Piper may have put his retirement to a halt after he was viciously attacked by the newly formed, Russian Alliance. Coming off of a successful title defense last week, Hercules looked prepared to earn to his second title defense here against Jim Duggan. The announce team talked about how Jim Duggan had informed WWF President, Jack Tunney, that he would accept the open challenge, which is why we have this match. Duggan brought the offense and charisma to Hercules, as the fans cheered Duggan on. Hercules eventually began to fight back and once he did, it was all over for Jim Duggan. Hercules soon locked in the Full Nelson and made the crowd's favorite tap out. Finish: Full Nelson by Hercules leads to the submission. Tito Santana heads to the ring and once inside addresses the on-going issue he has with Ted DiBiase beating him 3-weeks ago on Superstars. 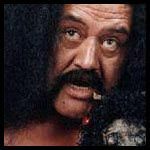 Santana says that he disagrees with the referee's decision to declare DiBiase the winner after a low-blow. He adds that he knows he isn't the only one annoyed by the finish, referring to the crowd who show their approval. Santana then calls-out DiBiase once again, after he went unanswered on last week's Wrestling Challenge. Tito Santana: "Say what you will Ted about you beating me, but everyone in this arena can tell you that your win was nothing more than a fluke. If it wasn't for your cheap tactics, I would have had you tapping out to the figure four leglock. If you honestly believe that you can skate by here in the WWF with your wealth, then think again pal! You know what you signed up, so come out here and fight me like a man!" "The Million Dollar Man" Ted DiBiase shows up at the top of the ramp, wearing one of his expensive suits. DiBiase claims himself to be the true winner, regardless of what these fans or what Tito thinks. DiBiase adds that he wouldn't mind winning again here tonight but says that he's clearly not in his wrestling gear. DiBiase goes on to accept Santana's challenge but adds that it will be under his rules, not Santana's. Ted DiBiase: "Seems to be that you just can't get over defeat, Tito. Regardless of what you or these fans think, the referee counted the three count in my favor, not yours. I wouldn't mind upstaging you again, but as you can see, I didn't bring my wrestling gear. I'll tell you what though, since I'm a men with class unlike you or any of these low life bums, I'll accept your desired rematch against me. However, we're doing the match under my terms, not yours. Way I see it, this match isn't about redemption to you Tito, it's about money. The only real reason why you want a match against me, is because you need the money. Unlike me, you depend on wrestling to pay your bills and to put food on the table. So, here's what I'm going to do for you, I'm going to give you your rematch at this Sunday's The Big Event. So that way, once I beat you again, you'll still make a decent amount of income than you would if I had defeated you on TV. I'm not so sure what value you'll still have after I defeat you again, so if worst case scenario, you get fired... Well, you can always come work for me, "The Million Dollar Man" Ted DiBiase! Because everybody has a price! HAHAHAHAHA!" 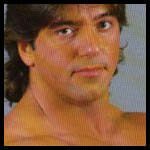 Rick Martel, who is one half of the Cam-Am Connection with Tom Zenk, faced his biggest opponent to date, "The Macho Man" Randy Savage. Determined to make a big name for himself, he went all out on Savage. He delivered a good amount of offense to Savage, which made the fans cheer and showcased his ability to hang with the big star. Savage would however, rebound not long afterwards and once he got the ball rolling, he wasn't going to stop. Savage soon delivered the Flying Elbow Drop and scored the pinfall victory. Finish: Flying Elbow Drop by Randy Savage leads to the pin. As Randy Savage began to celebrate in the ring with the beautiful Miss Elizabeth, a familiar face began to walk down to the ring. Randy Savage's opponent this Sunday, Jake "The Snake" Roberts was now at ringside and he wasn't alone. Roberts opened up the big bag he had carried with him to the ring and inside was his pet snake, Damien. Savage stood in the ring, trying his best not to look intimidated while Miss Elizabeth on the other hand looked absolutely terrified. Roberts than entered the ring along with Damien, as Savage escorted Elizabeth out of the ring and away from Jake Roberts. Roberts stood in the ring with a slight smile on his face, as Randy Savage fled up the ramp along with Elizabeth, as they both looked freaked out by the gigantic snake. Once they got to the top of the ramp, Roberts got on the microphone to send Savage one final message before their match at The Big Event. 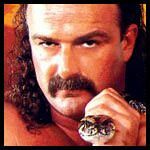 Jake Roberts: "Awww don't be scared Randy, all Damien wanted to do was greet you and remind you of how terrible it's going to be for you, once I defeat you in Madison Square Garden and prove why I'm next in line for the WWF Intercontinental Championship. Run all you want for now, but come this Sunday, you're going to have to face reality that I'm walking up that ramp with the victory in my hands." "Rowdy" Roddy Piper was here on the Piper's Pit to address the attack that he was a victim of from the hands of The Russian Alliance. Piper talked about how he had planned to retire in peace but that this newly formed group prevented him from doing so. Piper added that he was furious with the assault and that his fans know that he doesn't back down from any fight. Piper claimed his in-ring career is coming to a hiatus soon, but that he still has enough gas left in the tank for one more match. Piper than issues a challenge to anyone who is associated with The Russian Alliance to come face him this Sunday at The Big Event. Roddy Piper: "As much as I love this business and especially all of you fans who help keep this business running, I was ready to move on to the next chapter of my life. I almost was able to ride off into the sunset two weeks ago, until some Russian goons had to attack me. Now, I can say that I respect that these guys want to make a name for themselves, but they picked the wrong guy to come after and attacked. I told you all that I was leaving the business temporary but that's all going to have to change now! Because "Rowdy" Roddy Piper has gas in the tank for one more match and I'm issuing a challenge to any member of the so called Russian Alliance to face me, one on one this Sunday at The Big Event!" The Russian Alliance make their presence felt once again on Piper's Pit, as they walk on the set, looking to intimidate Piper. However, they don't attack him, instead Ivan Koloff grabs a microphone and accepts Piper's challenge on the behalf of his nephew, Nikita Koloff. Koloff adds that since Piper is choosing to stay, he's going to be brought down so hard, that he'll no longer have that option. Ivan Koloff: "You Americans seem to always be foolish. Two weeks ago, we sent you packing and luckily, we didn't hurt you enough to ruin your Hollywood career. Now, you want to issue a challenge to anyone of us? You Americans must be braver than what I thought. You'll soon regret this Piper, as you're going to be facing my nephew, Nikita Koloff this Sunday. 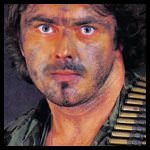 He's the most destructible force in the WWF today and you're going to be his first victim..."
Ivan Koloff orders his men to beat down Piper, who begins to try and protect himself but the sheer force of the Russians overcome him. Ivan than begins to stomp on him and orders for Sheik and Volkoff to raise Piper up. After they do, Nikita Koloff strikes Piper in the head with his big chain. They drop Piper down, who appears to be unconscious. They ruin his set and leave the scene, in which the announce team share their concerns for Piper and his upcoming match this Sunday. Backstage, Gene Okerlund interviews Bobby Heenan and the #1 Contender for the WWF World Heavyweight Championship, King Kong Bundy. Okerlunds questions Bundy on whether he's nervous about Hulk Hogan defeating him, like he did to Andre The Giant. Heenan quickly answers that question by claiming that Bundy is not nervous at all and that unlike Andre, Bundy will get the job done. Heenan says that this Sunday is about Bundy's redemption and the long-awaited rematch will happen in which Bundy will bring home the gold. 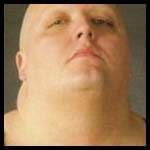 Bobby Heenan: "King Kong Bundy isn't nervous, the men who is nervous is Hulk Hogan! Hogan knows that his time is up this Sunday as world champion, so he's trying to live in the moment for as long as he can! Hogan may have beaten the odds against Andre The Giant, but I can ensure you that the same will not happen with King Kong Bundy! Bundy will annihilate Hogan this Sunday, because Bundy's mission is to claim redemption. Unlike that steel cage match at WrestleMania 2, this Sunday, Hogan will have nowhere to run! This time, Hogan must defeat Bundy clean inside the ring and we already know that that is not going to happen! So Hulk Hogan, enjoy your time on the beach while you underestimate the sheer force of King Kong Bundy! Not much more time left until all your hulkamaniacs realize that The Hulkster isn't immortal like he seems to be! King Kong Bundy has been on a path of destruction, defeating any opponent who came in his way and tonight, he looked to do the same to George Steele. Steele survived Bundy's onslaught in the opening minutes and at one point, delivered a decent amount of offense himself. Though, it would not be long for Bundy to take full control of the match and finish Steele off with the Big Splash, to earn the pin. Finish: Big Splash by King Kong Bundy leads to the pin. After the match was over, Bobby Heenan got in front of the camera and sent a message to Hulk Hogan, saying that he'll meet his demise this Sunday! Heenan gets out of the camera and it then puts its focus on King Kong Bundy who says one thing about Hogan. King Kong Bundy: "Hogan, that WWF World Heavyweight Championship is... MINE!" In the main event of the final Superstars of Wrestling before The Big Event, both teams looked to get an additional boost of momentum on their side. The WWF Intercontinental Champion, Ricky Steamboat got to fight Butch Reed a few days early and realizing what strength Reed processed. The British Bulldogs got some retribution against the tag team champions, The Hart Foundation. Everyone got a good amount of offense but nobody was ever really able to get going. However, the match ended up getting counted as a draw quickly, as chaos broke outside the ring between The British Bulldogs and The Hart Foundation. Steamboat and Reed began fighting in the ring, going all out with their fists, as the referee attempted to separate them. The strength of Reed proved to work wonders for him as he soon got the upper-hand over the champion. Finish: Referee declares match as draw as chaos between both teams gets to the point that it is uncontrollable. The brawling continued minutes after the match had been called off but began to die down, as The Hart Foundation chose to flee up the ramp. The British Bulldogs came into the ring and helped Ricky Steamboat fight off Butch Reed, which they soon sent him over the top rope. Reed decided to not reenter the ring and fled up the ramp with his manager, Slick. The British Bulldogs and Ricky Steamboat celebrated inside the ring afterwards. • Lord Alfred Hayes organized a quick game to boost morale backstage before the show began. • Roddy Piper believes that Shawn Michaels is good in the ring and believes he should be pushed pretty well. • Hulk Hogan thinks that Demolition Smash needs to learn how to sell, before he's pushed. • Bull Ramos has reportedly walked out on Pacific Northwest Wrestling on April 22nd, after a huge argument broke out between Ramos and management regarding late payments. Some have even pointed out that the situation got so bad that at one point, police got involved. • Former one-time WWF World Tag Team Champion, Tony Parisi announced that he plans on retiring in 3 months. Parisi is known for his time Toronto, Canada in which he had some good success. He also enjoyed a run in the WWF, in which he won the tag titles and was billed as Bruno Sammartino's cousin. Whether the WWF decides to contact him for one more run, is yet to be determined. • Wrestling insiders believe that 24-year-old, Bob Holly is on the rise. They have said that he possesses strong in-ring skills at an early age and when given time to develop, could become a great in-ring worker. Stipulation: If The British Bulldogs lose, they will no longer be able to compete for the World Tag Team Championships as long as The Hart Foundation hold the titles. The Royal Challenge: "The King" Harley Race Vs. ??? (3Pts) Match of the Night? (3Pts) How Many Championship Change Hands? (6Pts) Wild Guess Question: Who Will Answer Harley Race's Open Challenge? Reminder: Every match is worth 2Pts. I went ahead and posted back to back sets of shows due to the fact that I'll more than likely be going out of town this weekend. Since I won't be able to post The Big Event PPV during that time, I went ahead and got the shows out of the way so that everyone can predict in time. I plan on posting the PPV Friday, but if plans change then it will have to be Thursday. I'll post an update on whenever I'll be getting ready to post the show. Last edited by 123Kidd : 02-20-2018 at 09:22 AM. 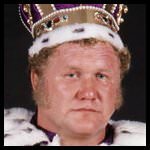 The Royal Challenge: "The King" Harley Race Vs. Bob Orton Jr.
(6Pts) Wild Guess Question: Who Will Answer Harley Race's Open Challenge? 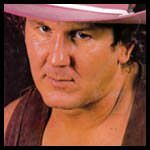 Bob Orton Jr. I foresee a draw for this one. (3Pts) Match of the Night? Bulldogs vs. Foundation. (3Pts) How Many Championship Change Hands? 0. (6Pts) Wild Guess Question: Who Will Answer Harley Race's Open Challenge? Haku. Stay on the lookout as I'll be having #11 edtions of Superstars and Challenge up this weekend. I have WWF Free for All completed as well. It is just a matter of when I can get the time to post them up. I thought i had adjusted to this new schedule of mine but its taking a lil more time. I hope to get back into the pace of getting shows posted quicker very soon tho. Reason being that i have enjoyed doing this dynasty. For anyone following, thank you for your patience. The show kicks off with Gene Okerlund, who is alongside with the WWF World Heavyweight Champion, Hulk Hogan. 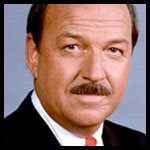 Okerlund informs viewers that Paul Orndorff was given the night off by WWF President, Jack Tunney, so that he could get the much needed rest on his body before his upcoming battle with King Kong Bundy this Sunday at the Free for All PPV. Afterwards, Okerlund talks to Hogan about his upcoming main event match against Harley Race. Hogan says that he has had enough of The Heenan Family running around and causing chaos. Hogan adds that he is glad Orndorff saw the light and moved on from the alliance. Hogan finishes by throwing a message to “The King” Harley Race. Both teams knew that this was only the start of their night, as the team that walks out of this match will have to compete again tonight against The Can-Am Connection. Both teams looked good displaying strength to legitimize them as real contenders in the tag team division. 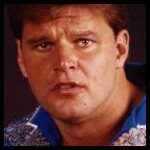 Davey Boy Smith showed a lot of signs to be a potential star with his performance. The Russian Alliance arrived and they looked intent on causing chaos in front of the fans. They walked down the ramp and hounded Dynamite Kid, with verbal threats. Smith, who was the legal men, went out there and confronted them. Ivan Koloff informed his alliance to back off and ensured Smith that they mean no harm. The Russian Alliance then backed away from Kid and made their way to the opposite side of the ring. Smith would return in the ring, to be beaten down by AX. Demolition made frequent tags to wear out Smith, with the referee’s attention on Demolition not breaking any rules, The Russian Alliance eventually made their way to Dynamite Kid again, but this time, attacking him. Smith caught attention but suddenly got hit again by AX. 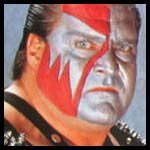 Demolition would finish Smith off with the Demolition Decapitation to earn the win. Finish: Demolition Decapitation on Smith leads to Ax earning the Pin. As Demolition leaves the ring with no attack by The Russian Alliance, Ivan Koloff, who is at ringside where Dynamite Kid is laid out, instructs the alliance to attack Davey Boy Smith. Smith, who is still in the ring selling the Demolition Decapitation finisher, taunts them to bring it. The Russian Alliance beats Smith down, who doesn’t go down without a brief fight. “The Russian Brute” Nikita Koloff begins wrapping his fist with the silver chain he wears around his neck. Ivan Koloff orders Nikolai and Iron Sheik to lift Smith up, they do as told, which then leads to Nikita Koloff delivering the vicious strike to Smith’s face. Ivan Koloff then takes to the microphone and uses The British Bulldogs as an example of a disgrace. Hercules has been on a roll week after week, dominating every challenger that comes his way for the WWF World Television Championship. Tonight, he made easy work of Corporal Kirchner, as he dismantled him and executed the Full Nelson in less then 5 minutes. Kirchner instantly submitted once the hold was locked in, as Bobby Heenan cheered for his client who has picked up his 5th defense. Finish: Full Nelson by Hercules leads to Submission. WWF Intercontinental Champion, Ricky “The Dragon” Steamboat gave his thoughts on his upcoming rematch against “The Unnatural” Butch Reed. Steamboat acknowledges Reed’s strength and admits that he underestimated him. Steamboat adds that while he may be at a disadvantage strength wise, he will somehow find the will to retain the WWF Intercontinental Championship. 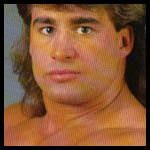 After his pre-recorded promo on Butch Reed, Ricky Steamboat had singles action with the Canadian strongmen, Dino Bravo. 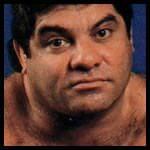 If any competitor were to be a good warm up for Butch Reed, it would be Dino Bravo. The man has strength similar to Reed and he showcased that here against Steamboat. Bravo looked good and held the offense throughout the beginning of the match. Steamboat eventually made a big counter that helped him reclaim momentum. After a hot streak of moves, Steamboat finished Bravo with the Flying Karate Chop, to earn the pinfall victory. Finish: Flying Karate Chop by Steamboat leads to Pin. Backstage, Bobby Heenan and The Heenan Family appear, in which Heenan hypes up this Sunday’s WWF Free for All Pay-Per-View. 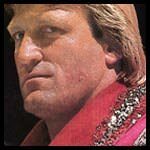 Heenan then dishes Paul Orndorff about his absence, stating that if Orndorff can’t stand King Kong Bundy face to face, then what makes him believe he can defeat the big men. Heenan then talks about the big match between WWF World Heavyweight Champion, Hulk Hogan and The Heenan Family’s very own, Harley Race. The #1 Contender, Harley Race receives the microphone from Bobby Heenan, who is displaying a big smile. “The King” Harley Race: “Hulk Hogan, enough is enough when it comes to you running your mouth. Your going to learn to respect me, just like each and everyone of you in attendance and watching at home. You all respect Bruno Sammartino and Hulk Hogan, but fail to even praise me. Well that’s all going to change here tonight and again this Sunday. Hoga, you say your here for a fight? So am I. Before the match began, The WWF World Tag Team Champions, The Hart Foundation made their way to ringside to watch the match. Afterwards, the final match of the tag team tournament began with Demolition Ax and Rick Martel starting things off. This match was a clear indication that Demolition were worn out from their previous match earlier tonight against The British Bulldogs. This really worked in favor for the fan favorite duo of Rick Martel and Tom Zenk. The offense was neat and steady by Martel and Zenk, as they made frequent tags and displayed a variety of moves. The crowd were really behind them and it showed for a fact once Demolition began to make a comeback. Martel rallied on with a comeback of his own against Smash and eventually, he locked in the Boston Crab. Demolition Ax attempted to break the hold, but Zenk was quick enough to make the save in time. Martel continued the hold until Smash made the decision to tap out. The announce team quickly hyped up the fact that this Sunday, the winners of the tag team tournament, Can-Am Connection will face off against The Hart Foundation for the WWF World Tag Team Championships. Finish: Boston Crab by Martel on Smash leads to Submission. Rick Martel and Tom Zenk are in the ring celebrating, as the WWF World Tag Team Champions, Bret Hart and Jim Neidhart enter the ring. The Hart Foundation raised the tag titles high up in the air, as they stood eye to eye with Martel and Zenk. Hart then extended his hand to Martel and Zenk, who looked unsure whether to accept the handshake or not. Martel reached to accept and then Hart pulled his hand away from Martel’s. The Hart Foundation quickly took the swing at the new #1 contenders, by hitting them hard with the tag team championships. Bret Hart and Jim Neidhart stood over their opponents that they’ll face this Sunday, as their manager, Jimmy Hart, shouts into his microphone putting over The Hart Foundation. WWF President, Jack Tunney makes his way down to the ring and greets the fans in attendance and watching at home. Tunney informs the audience that he has indeed given the night off to Paul Ordnorff but that he will in fact be facing King Kong Bundy this Sunday, at WWF Free for All. Tunney then changes the topic onto the on-going feud between “Macho Man” Randy Savage and Jake “The Snake” Roberts. Tunney says that since Roberts and Savage have clearly shown they have blood among each other, he’s going to have them face off again this Sunday. Tunney adds that their upcoming rematch will ensure a winner, as it will be a 2 out of 3 Falls Count match. The WWF World Heavyweight Champion, Hulk Hogan was in fact in for a fight and it wasn’t against The Heenan Family. Hogan went one on one against the super heavyweight, Kamala. Kamala put up a good fight against Hogan, in major part due to Hogan looking out for The Heenan Family. The distracted Hogan, eventually bounced back mid-way through the match and put Kamala down with the big leg drop. Finish: Leg Drop by Hogan leads to Pin. Typically after a big finish like the one he just had, Hulk Hogan would celebrate as all of his Hulkamaniacs would cheer him on. This would not be the case tonight, as the fans cheered for Hogan and his music continued to blast, Hogan was still awaiting The Heenan Family to come down to the ring. Eventually, The Heenan Family arrived at the top of the ramp, as Hogan watched from down in the ring, looking eager to get his hands on any member. Heenan instructed his clients to go repeat the same thing they done to Hogan last week. Hogan was ready as the members of The Heenan Family approached the ring. Each member went on one side of the ring, as Hogan tried to keep his focus on every men. Hercules entered the ring first, which prompted Hogan to hurry on the offense. King Kong Bundy and Harley Race soon entered the ring afterwards and helped join in on the attack. Hogan fought back with all that he had but the strength of all three men surely surpassed him. Heenan looked down on Hogan with a satisfied grin, while Race put his right foot on Hogan’s chest letting everyone get a clear image of what could come this Sunday. The show came to a close with one final shot of The Heenan Family standing over Hogan, as the announce team question whether this Sunday could be the end of Hulkamania. •	While the storyline has many to believe Paul Orndorff was given the night off to prepare for this Sunday’s Free for All PPV, that is not the case. According to multiple sources, Paul Orndorff was actually at the event but was sent home due to being too high to perform. This may seem similar to you and if it does, its because it is. Orndorff was reportedly sent home last week and fined. This now makes it his 3rd time where he has been sent home and now many believe that he could soon fall from grace very soon. At a time, where Orndorff is in one of the top storylines, this is certainly not the time to mess up. •	The Honky Tonk Man was seen backstage doing soft drugs. Its being reported that he was fined for the incident and could possibly be on the sidelines for awhile. 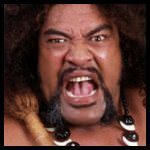 •	Haku was in a pre-show match against The Hart Foundation and during the match, Hogan gave his thoughts on the guy. Its believed that Hogan didn’t say anything positive and that he thinks he doesn’t connect with the fans. •	Paul Orndorff was once again sent home tonight, when he showed up wasted on painkillers. This was now the 4th time that he has been sent home. Orndorff was once again fined and some sources believe that if Orndorff doesn’t impress at the upcoming PPV, he could be out of a job. 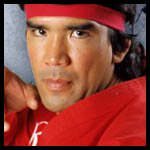 •	Ricky Steamboat was backstage passing tips on how to perform on the microphone and teaching psychology to his proteges Mick Foley and Kim Chee. •	Davey Boy Smith has not been happy about his push as a midcard act. It’s being reported that Smith will begin being pushed as an upper-card talent now. Sources close believe that Smith could be on the horizon for a future singles run. 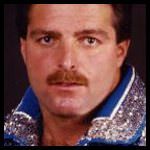 •	Jake Roberts believes that Rick Martel is not charismatic enough to belong on the roster. He believes that management should fire him and hire someone who is better in that department. •	Hulk Hogan believes that Paul Roma doesn’t have the in-ring psychology to stay around and that he should be released. •	During the broadcast of Wrestling Challenge, Hulk Hogan took part in a interview in which he signaled himself out to be the only true star in the company. Word has it that Hogan’s comments have caused some tension backstage. •	Scott Steiner shows off physique, in which he hopes the new muscularity is the start of a new golden period in his career. •	Hector Guerrero will be looking into changing his wrestling style, in hopes of achieving bigger success. He has made the transition from being a luchador to a regular wrestler. •	"Rowdy" Roddy Piper was seen on the red carpet last night to promote one of his new movie titled "Bodyslam". During an interview that night, Piper declined to answer questions about a potential return to the company but hinted that you never know exactly when "Hot-Rod" would show up. (3 Pts) How Many Championship Change Hands? 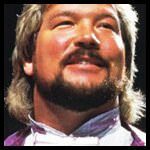 (6 Pts) Wild Guess Question: What will Ted DiBiase’s announcement be regarding his next move in the WWF? Reminder: Every match is worth 2 points! This will be the final prediction scoreboard and the top three users will receive a prize. The new scoreboard will begin with next month’s PPV.